Getting the right ramp angle on your bindings can make the difference between skiing on-point or in the backseat with tired quads. B&D makes shims for almost every occasion. Choose a shim based on your binding and desired pin height delta, which can take some experimentation. Shorter boot sole lengths are more affected by delta because they end up with a higher ramp angle, thus look for thicker shims. Shorter skis also may benefit from thicker shims. For long skis and long feet, go thin to win. Some folks who shim their toes also increase the height of their heel risers to compensate. Do this with B&D Nubbins. ►ORDERING NOTE: All shims are sold in PAIRS, while the screws are priced INDIVIDUALLY. 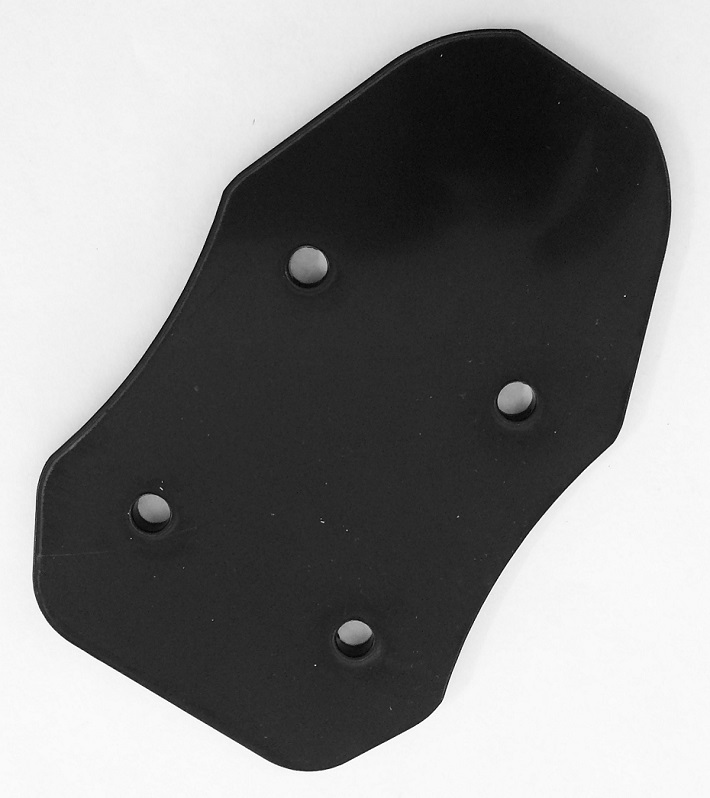 Classic Shims, 3.2mm - Shims that are mounted under tech binding toes in order to reduce your ramp angle. 3.2mm thick, laser cut. 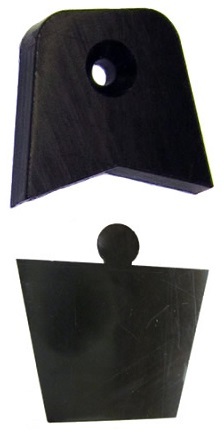 Classic Shims, 4.7mm - 4.7mm thick version of the above shims. All these are drilled to match both Classic and Radical hole patterns. Classic Shims, 6.4mm - Same thickness as the Radical ST/FT base plates, but used for the Speed Radical and most other tech toes. Classic Extensions, 3.2mm - Also known as “tips & tails”, these allow the Classic shims to be used with Comfort, Vertical ST, and Vertical FT bindings. They interlock with the 3.2mm Classics. Classic Extensions, 4.7mm - The Vertical & Comfort series toes have built in base plates that would otherwise overhang the shims. These slide into the Classic shims and work well with 23.5mm screws. 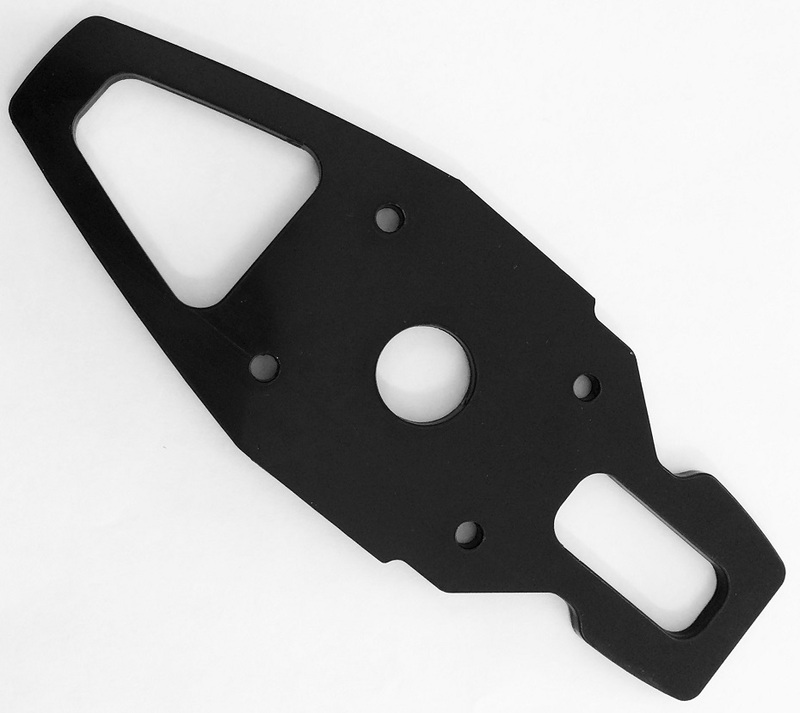 Classic Extensions, 6.4mm - Supports the base plates of older Dynafit bindings while raising the whole thing up 6.4 millimeters. The toe extensions need to be screwed onto your skis with the included wood screws (6.4mm version only). Radical 1.0 Shims, 3.2mm - Raise up the toe pieces on your Dynafit Radical ST and FT bindings by 3.2 millimeters, reducing your ramp angle. Radical 1.0 Shims, 4.7mm - Decrease the pin height delta by 4.7mm for those Radical ST/FT 1.0 bindings from Dynafit. Radical 1.0 Shims, 6.4mm - Effectively double the baseplate thickness under your toes, reducing the pin height delta to less than 10 mils for the Radical ST/FT series. Radical ST 2.0 Shims, 3.2mm - Although there is a bit less pin height delta on the 2.0 series, it is still relatively high. This will correct it by 3.2mm. 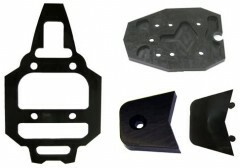 Radical ST 2.0 Shims, 4.7mm - Decrease your delta by 4.7mm on the 2.0 Radical ST bindings. 37g each. Radical ST 2.0 Shims, 6.4mm - As the thickest shims for the Radical ST 2.0 binding, the 6.4mm shims will neutralize the ramp angle the most. Radical FT 2.0 Shims, 3.2mm - Radical 2.0 heel pins are about 13.5mm higher than the toe pins. These shims will lower the delta to near 10mm, which some feel is a good target for touring skis. Radical FT 2.0 Shims, 4.7mm - The happy medium between the 1/8” and 1/4” shims for the Radical FT 2.0 binding. Radical FT 2.0 Shims, 6.4mm - More toe height means less delta which means less ramp angle and possible tired quadriceps. 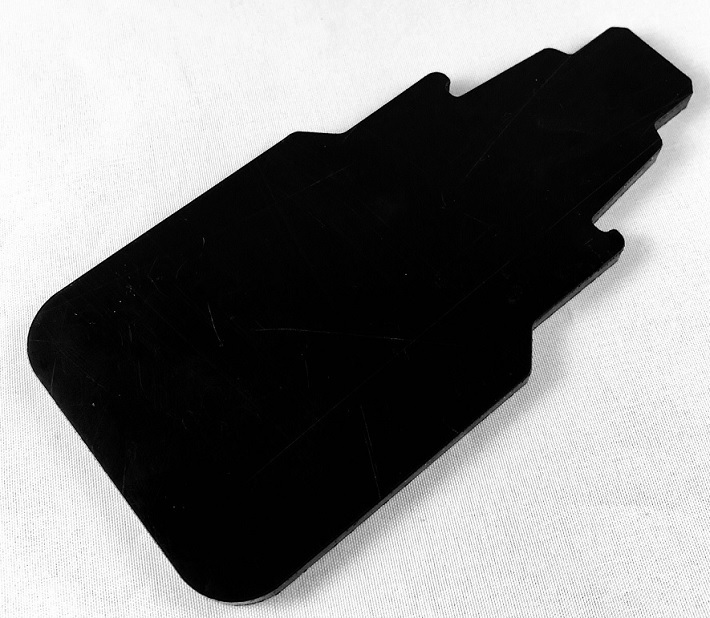 G3 ION Shims, 3.2mm - The stock delta of the Ion is 11mm. These shims will bring you down 3.2mm to a very happy ramp angle. G3 ION Shims, 4.7mm - Same as the above but reduces delta by 4.7mm. G3 ION Shims, 6.4mm - Lifting the toes by 6.4mm will leave the Ion feeling pretty close to an alpine binding. Vipec / Tecton Shims, 3.2mm - The thinnest flavor of a toe shim for the Fritschi Vipec bindings. These do *not* have drill holes for screws and will need to be drilled. 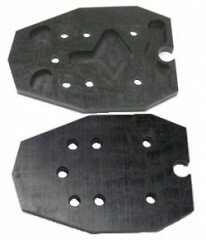 Vipec / Tecton Shims, 4.7mm - Medium-est rise for Vipec toes. Also works with the Tecton. No drill holes. Vipec / Tecton Shims, 6.4mm - Stack it up under the Vipec and you'll be close to flat. No drill holes. Kingpin Shims, 3.2mm - Although the Kingpin has no heel pins, we’ve estimated the effective delta at +9.5mm. This can be lowered with these shims. 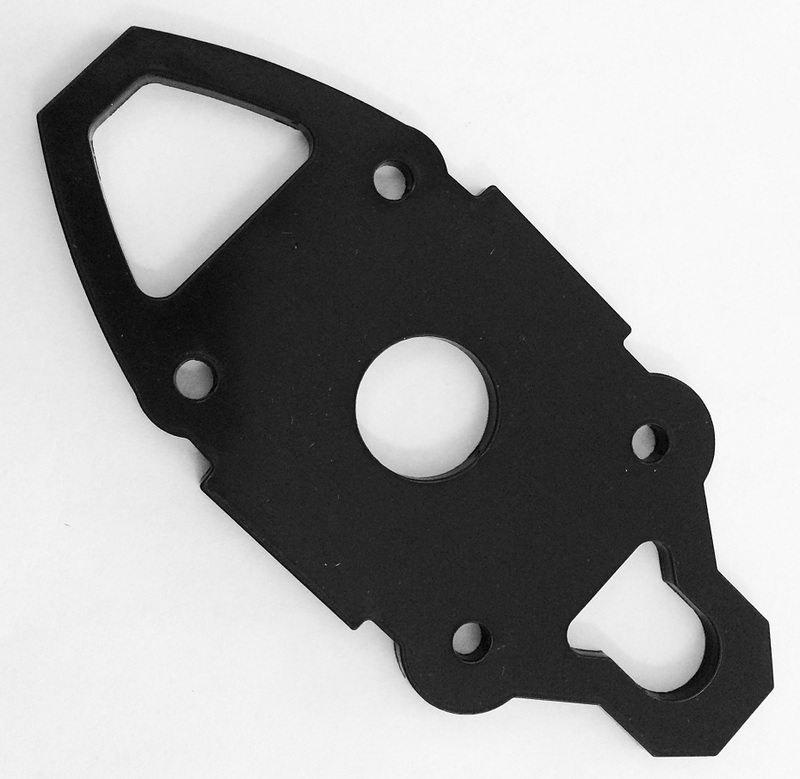 Kingpin Shims, 4.7mm - A thicker shim for the Kingpin will get you close to +5mm. Kingpin Shims, 6.4mm - Closest to flat you'll get with a single shim under the Kingpin toes. 18mm Pozi Screw - If you add some shims, you're going to need longer screws. These are alpine screws with a large head that works well with G3 ION and Plum bindings. 19mm Torx Screw - These are good for shimming lots of toes with 6.4mm shims. Small Torx head works especially well with Dynafit bindings. 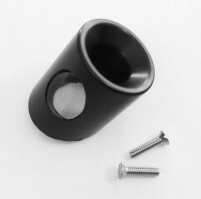 21.5mm Pozi Screw - Another alpine-style, large-head screw that works best with G3 ION and Plum models. 23.5mm Pozi Screw - Perfect for 4.7mm shims under Radical 1.0 & Vertical toes that already have baseplates. Medium size head. 28mm Pozi Screw - These are for raising the Radical ST or Vertical ST toes past 4.7mm, amongst other uses. Watch your depth, you may need to grind 'em down. Metric conversions: 3.2mm = 1/8". 4.7mm = 3/16". 6.4mm = 1/4"
Do any of the toe shims fit the Black Diamond Helio 200 bindings? Hi Mike, yes the Classic shims will work. 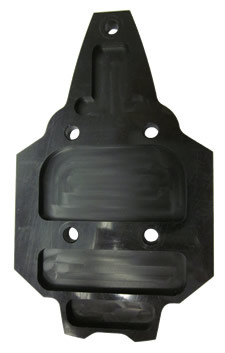 You could also get the Kreuzspitze toe shift plates for some additional functionality (ability to move the toes). I have Salomon MTN 95 Explore (177cm), Radical ST and Salomon MTN Lab (sole length 321mm), I am 183cm/6'0'. As soon as the surface gets bumby/funny I immediately find myself in the back seat with little or no control. Considering trying shims, but unsure about the thickness. Do you have any recommandation? Erik- I would just go for the 4.7mm shim with that binding. The other idea is try a spoiler in the back of the boot. Thanks. I'd tried som self made spoilers, and it does help some. Do you sell spoilers? Also, do you stock the 23.5mm Pozi Screw for mounting the 4,7mm shims under the toe piece+baseplate? Just want to clarify which screws for Radical ST 2.0 for 4.7mm shims and then separately, which ones for the 6.4mm shims? Hi Cliff, ideally you want 20mm screws for the former case and 22mm for the latter. Looking at a 6.4mm shim for a vipec. What screw length should I get? I would expect a 23.5mm screw length but I dont see that as an option. You need a 25mm pan head screw which we do have in stock but is not on the website. So you will have to call us @ 801-942-9084 and we can take the order from there. Rad 1.0 with a 3.2mm toe shim would be what screw length? Hey Michael! It'll be about a 21.2mm screw length if you're mounting the toe and plastic baseplate on top of the shim. The 21.5mm will likely be okay in this instance if that's the case. If you are mounting the toe directly to the shim without the plastic baseplate then it'll be about a 15.7mm long screw, in which case you'd need to grind the 18mm screw down a few millimeters. Do you mean the 21.5mm pozi screw, which I am all for. Not a fan of torx heads. I guess while I am at it, do you have pozi screws that would work on Rad 1.0 heel pieces? to get rid of all the torx heads? Hey Mike! Yup, the 21.5mm Pozi screw should be the one! Dynafit uses some very difficult to source hardware to mount their bindings and because of that I don't think we have any Pozi pan-heads for the heels unfortunately. Sorry to be the bearer of bad news, we have run into that issue many times. There is more flexibility with head choice if you want to mount the heel into inserts like Binding Freedom or Quiver Killer but that comes with its own set of benefits/drawbacks. I have purchased these before but now seem a little confused. Have new speed turns on the way and under the impression I should get the 6.4 classic shim. But I don’t see that as an option in the pull down menu. Any help would be great. You guys rock. Hey Tom! Dang, it looks like we're sold out of the Classic 6.4 for the time being. That being said, you're in luck because there's still an option. The Speed Turn 2.0 uses a variation of the Radical Toe, so the Radical 1.0 shim will work just the same in this instance. As long as the binding you got is the newer Speed Turn 2.0 and not the older original Speed Turn with the 5-hole mounting pattern on the toe then the Radical 1.0 shim will work for you. If it's a 6.4mm shim then you'll likely need the 19mm Torx screws in order to mount them to the ski. Let me know if that cleared things up. Hello, I am looking to get a pair of the 6.4mm shins for a Radical FT2.0. I am mounting with Binding Freedom insterts. Do you have the appropriate screw size to include in the order? Hey Erik, you'll need 20mm length flat head M5 stainless bolts. Because it'll be a custom order, shoot me a quick email at "help@skimo.co" and we'll get you taken care of! Bought the 6.4 mm shims for the dynafit radical 2.0 st binding and the 23.5 mm torx screws. The shims were a perfect fit right out the box. The 23.5 mm screws were a nearly a perfect fit and required no modifications. I roughed the surface of the binding, ski, and both sides of the shim, and used slow cure epoxy between the ski, binding, shim, and in the screw holes. It has held up for two long ski days and the ramp angle is noticably better. I no longer feel like I'm in high heels after stepping into the skis, and it is so much easier to skate uphill. Uphill skinning seems unchanged. I did counter sink the holes on both sides of the binding with a drill and slightly larger drill bit. Since the radical binding has a slight welt under each screw hole, and the screw holes in the ski were slightly raised as well. It probably wasn't necessary but it made it easier to line everything up while screwing it in. I highly recommend this shim with the 23.5 mm screws for the radical 2 binding! Which toe shins are recommended for dynafit speed turn 2.0? Hi Gordon, the Speed Turn 2.0 toes are compatible with the Classic Shims. 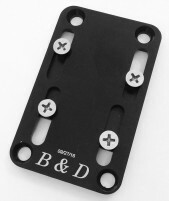 I wanted to compare the relative weights of your shims with you B&D shift plates. I found the weights listed for your shift plates but, alas, no mention is made of the weights of your various shims. I assume the shims are lighter but there is no mention of how much lighter. Also, what material are your shims manufactured from. I looked all over but couldn't find mention of this. Hey Mmullen! Not sure if it changes things or not, but these shims are made by B&D. Not sure exactly what kind of plastic these are made of, but they're sturdy. Weights vary a lot, but I weighed the most common shim we sell, the 6.4mm Classic, and they are about 30g per side. Hi, for the Dynafit 2011 TLT Vertical FT12, what model of shim should I purchase, and what corresponding screw size for the 6.4mm? Thanks! Hey Grayson! For the Vertical FT you'll need the Classic 6.4mm as well as the 6.4mm Classic Extensions to support the baseplate so it's not hanging out in space collecting snow. The screws you're shooting for are the 28mm screws, but they need a bit of modification (to account for extra length). Unfortunately the Vertical FT has an interesting screw length and when you shim it 6.4mm you'll need something in the realm of 25mm. Another easier, but less awesome solution is to get the 4.7mm version shim and the 23.5mm screws that require no grinding! I have Dynafit Vertical ST bindings, and want to add the low (4.7mm) toe shims. Just wanted to doublecheck on the screw length: (1) 23.5mm screws, right? (2) your website says "medium" pozi screw heads for the 23.5mm screws that you stock -- is that the same size head as what comes on the Vertical ST, or will I have to grind down the screw heads? Thanks! Hi Karl, As long as you are using the original toe plates along with the shims you are adding, the 23.5mm screw size should be correct. The heads of these screws should work fine with your bindings without need for grinding. As always, double and triple check the screw length to ensure that it's depth will be correct for your ski. I have a pair of the Dynafit Rotation 10 bindings and a 280mm boot length- which shim is recommended? The same one that would fit the Radical ST? Hi Trickytiger, you're going to want the Radical ST 2.0 toe shims for those.  Hi Jeff, for the Speed Radical toe you will want to purchase the Classic Shims. What type/length of screws for the different shims? Hey sbf! Kingpin shims are indeed sold out, however we place refill orders pretty regularly so if you're interested in getting a pair let me know and I'll see what we can do! Screw length is a pretty straightforward topic but depends on exactly which shim you end up with! One easy way to solve the dilemma is to measure the length of the standard mounting screws you have and then add the thickness of the shim to that length! I have a pair of Radical FT 1.0 and Dynafit Beast boots (320mm sole lenght), and I am wondering about purchasing either 4,7mm or 6,4mm shims. What do you recommend? And what kind of screws goes with the two alternatives? Hey Gnorway! I think if you're gonna go with a shim to flatten out the ramp angle, you should go all the way and get a really thick shim to minimize the ramp angle! Just my thought on that, but the 4.7mm will work just fine as well! As for screws, the 6.4mm shim will need the 28mm screws (though you may need to grind them down a touch), whereas the 4.7mm shim will need the 23.5mm screws. I just got a pair of Fischer My Travers size 24.5 ski boots. I took them out today using my old skis with old Dynafit TLT Vertical ST bindings. The forward lean was extremely uncomfortable. My question is: I will ultimately be using these boots with my new Atomic Backland bindings and I was wondering if I will need a shim under the toe to reduce this forward lean or do you think this binding will have enough of ramp angle backwards (compared to the Vertical ST) to reduce the lean? Do you even have a shim that will fit on the Backland? I will also try compacting the thick Intuition liners in the calf area to help. Hi Linda, there is much less ramp in the Backland (details here). You should be fine without a shim. B&D has not yet made one specific to the Backland either. I am buying the BD Classic 6.4MM for my Plumes. They are currently mounted on my BD Judge. Is the screw size that comes in package enough? Just want to make sure... Thanks. Hi Gem, the shims do not come with screws since every situation is different. In this case you'll need screws around 21mm. Note you can also shim the the Plum Guides with rental toe plates that are thicker and add some function. Hi there, I'm looking at purchasing a 6.4mm shim to put under a Dynafit Speed Radical binding toe piece that's currently mounted on quiver killer inserts. Can you tell me what screws I would need in order to make this happen? Thanks! Hey Eric, thanks for reaching out! That'd be a 16mm Flat Head screw with an M5 thread! Let me know if you'd like to proceed and I can probably get you set up with an order! Will the classic shim work with the Fritschi Evo toe? Is an extension required? Hi Duretteski, unfortunately the classic shim doesn't work with the Vipec. Rumor has it there is a Vipec shim coming available though.